The Enactus Ghana team from the Kwame Nkrumah University of Science and Technology made it to the semi-final rounds at this year’s Enactus World Cup Competition. 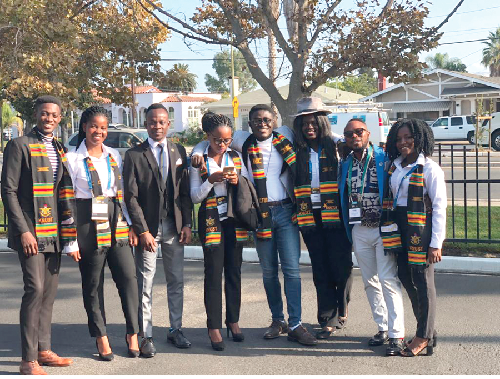 The event was held in Silicon Valley in California, USA, last month, a statement released by the Enactus Ghana office on November 9 said. The statement said the Enactus team from the Kwame Nkrumah University of Science and Technology after emerging winners at the 2018 Enactus Ghana National Competition which took place in June this year represented Ghana at the World Cup Event, where they competed with national champion teams from 35 other countries. “The team, represented by 6 students, competed in the opening rounds of the competition against teams from Canada, Kyrgyzstan, Australia and Brazil and qualified with Canada as one of the two teams to advance to the semi-final rounds of the competition, where they again competed in a league with teams from Morocco and Puerto Rico, losing to Morocco which advanced to the final round,” the statement added. According to the statement, the Enactus team from the University for Development Studies (UDS), Navrongo Campus, which also participated in the Ford Mobility Challenge, held alongside the World Cup competition took the third position at the end of the competition. “In a special Competition, the Enactus team from University for Development Studies, Navrongo Campus, also came third in the Ford Mobility Challenge in Palo Alto, California, with their project dubbed “EA -Transport”, a software Application that seeks to provide affordable means of transportation to locals in the northern part of Ghana,” the statement said. The team from Kwame Nkrumah University of Science and Technology, according to the statement, was also selected as part of four teams awarded World Trade Centers Associate Foundation Award as Junior Ambassadors for their two innovative and life changing social enterprise projects; “BidiGreen” and “Recoplast”.